Discussion from March 31, 2016 at the Kampa Theater; a story of a journey through ancestral villages and a visit to the Russian ancestral school of the academic Ščetinin in Russia. Discussion with Oldřich Hozman and Anna Tinclová hosted by Mario Večerek and Pavel Kraemer. Story of the house in Spain, a lecture of the “Příběhy domů” (Stories of Houses) conference. Story and lecture about building a house in northern Spain. An organic architecture of the house and natural building materials. Description of the construction process and telling the story of the entire project. Lecture length 30 minutes. https://www.arc.cz/wp-content/uploads/2016/10/hozman_prednaska.jpg 594 1059 Oldřich Hozman https://www.arc.cz/wp-content/uploads/2016/10/logo-trans125.png Oldřich Hozman2015-06-04 14:37:592017-11-03 17:43:04Story of the house in Spain, a lecture of the "Příběhy domů" (Stories of Houses) conference. Talks about the origin and construction of a house in Lány near Prague. 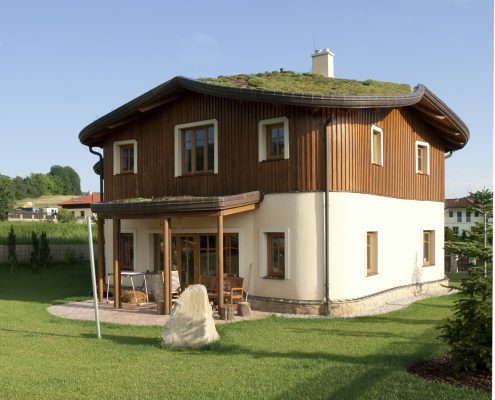 The use of natural building materials and organic structures. Lecture length: 25 minutes. An interview with the host of the Czech TV programme called “Za zrcadlem” (Behind the Mirror), Tomáš Hanák on sacred geometry, feng shui, and ecological materials (2010). Duration of the programme: 28 min. The interview with Oldřich Hozman is between the minutes 19 and 23.